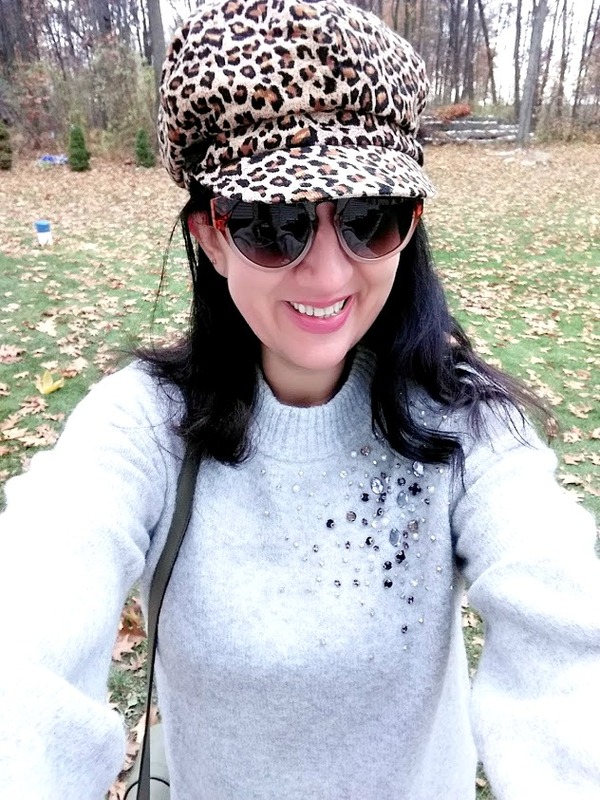 The Holiday Series 2018: Thanksgiving Outfits, a Multi-Blogger Collaboration. 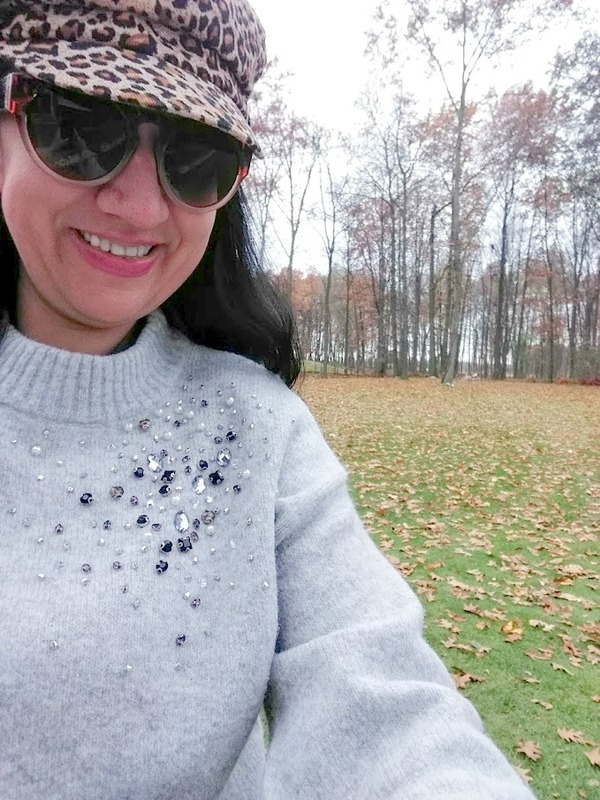 ...And just like that we are mid-way through November and as I am typing this, beautiful, soft, wet (it was very wet), cold, crystal snow is falling. Made my late night drive home from work a little longer and slippery. Believe it or not it is the 3rd snow of the season for us Michiganders. We already had snow fall twice (back to back days) last week. But it melted quickly. As a matter of fact these outfit photos from today were shot this Sunday and it was the most sunny day we have had in about a month. No snow or rain (my gosh it has been such a rainy Autumn this year) in sight, which is a good thing because the weather collaborated since I had to shoot outfit photos. 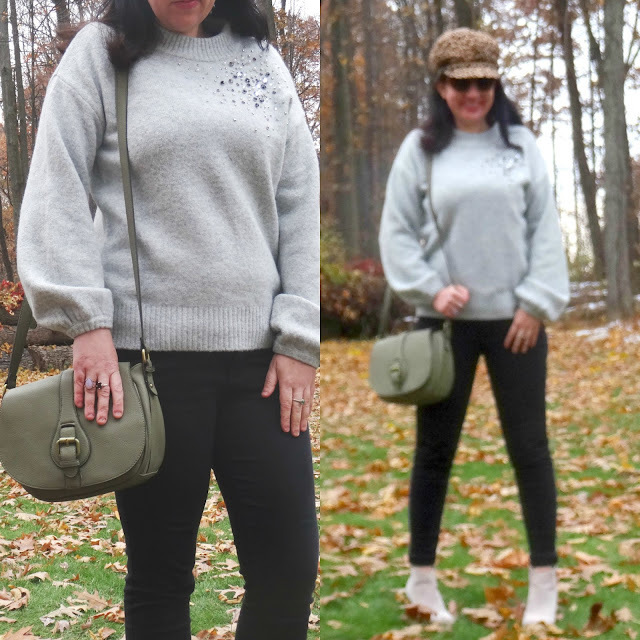 THE HOLIDAY SERIES 2018: THANKSGIVING OUTFITS. But back to the Holiday Series. We start off with our Thanksgiving Outfits because that is the first holiday we are about to celebrate and since it is always the 4th week of November and this month the 1st started with Thursday, it is an early Thanksgiving this year, just next week. I am so happy to be back with my good blogging friends though. And these collaborations take time, lots and lots of time. Just putting the collages together of all of our looks as well as linking to everyone and adding everyone's captions/blurbs took an hour. But I don't mind it. I love these ladies and I love the blogging friendships that have transpired through the years. I have collaborated multiple times with each and every one of them, but I think the one I have done the most collaborations with through the years (probably at least 30 or 40) is my friend Linda from a Labour of Life. I am glad we started off with 13 of us participating for this Thanksgiving post, but through the series you will see a few more faces, too. I let the ladies choose which 'themes' they wanted to participate in and of course I as the host will show you all 6! I was so giddy and excited to see all of their outfits and as the e-mails and the photos started arriving I couldn't help but notice a few things in common. First of all we ALL wore boots or booties. There is also a few hats in the mix. 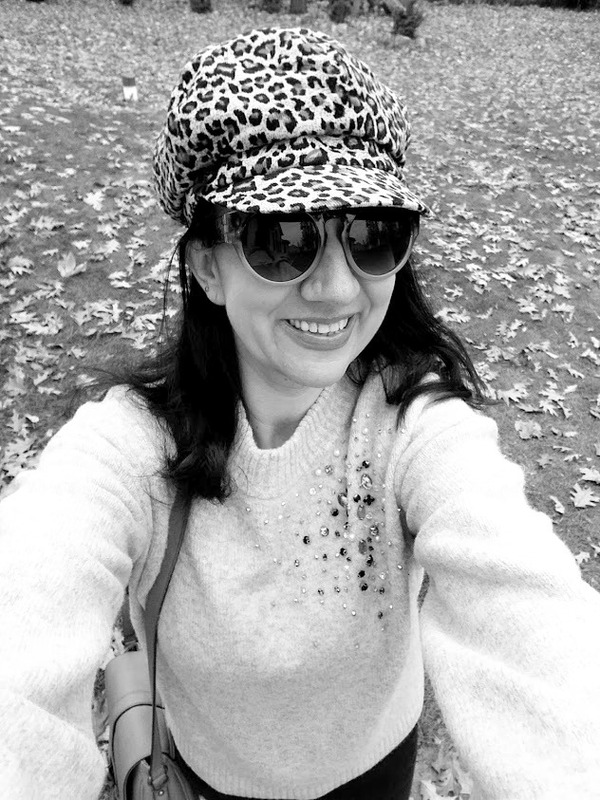 Lots of cozy sweaters and pops of leopard (I 'spot' you Amber and Jennie). 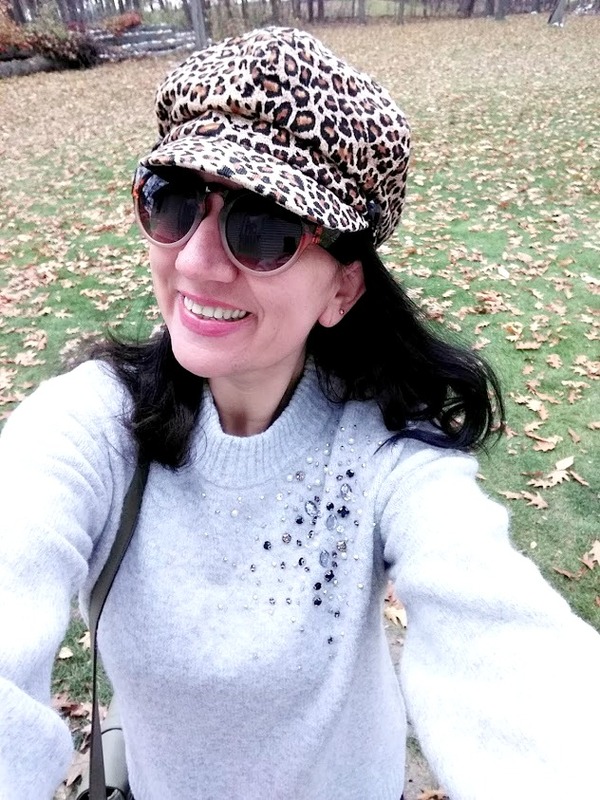 Read on to see what everyone is doing/sharing/wearing for Thanksgiving this year and you can click on each of the ladies' blogs to see their outfit details. They all look fabulous!! 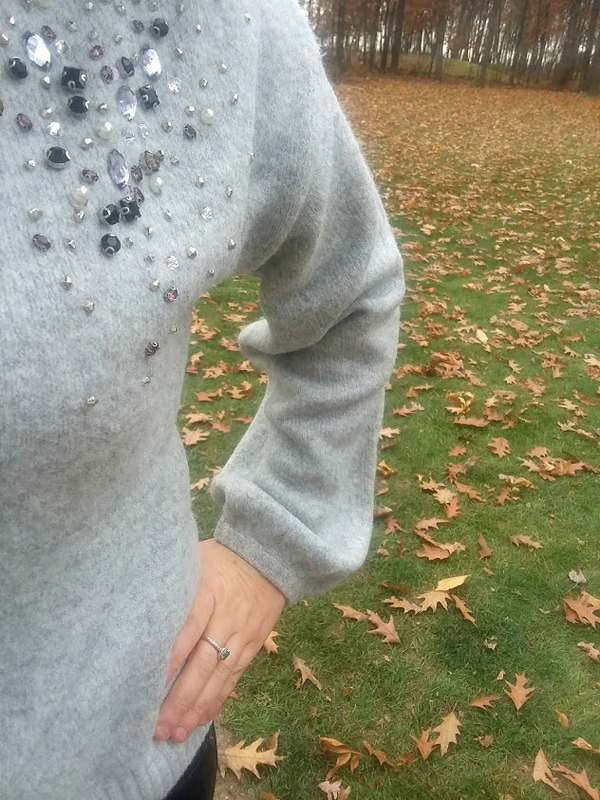 I chose to wear the latest and greatest item to add to my closet: my Heather Grey Wool, Puffy Sleeve Sweater from Target (cannot find it online but it is the A New Day brand). 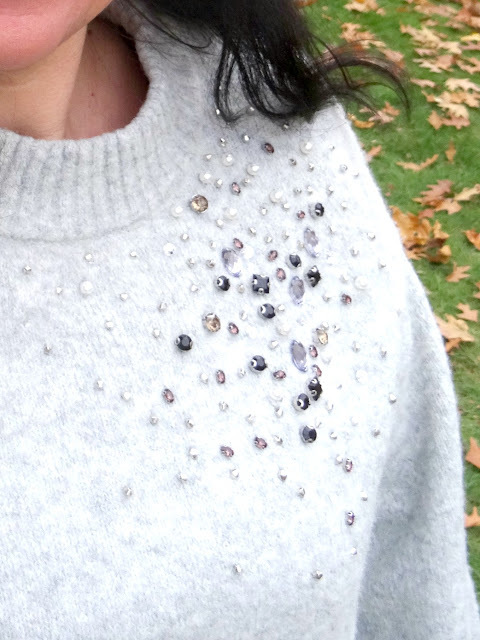 I may or may not have purchased this sweater because of the beautiful crystals embellished off the side on the chest. Lucky for me this "spur of the moment" decision ended up being a good one since this sweater (I am wearing size S) fit perfectly, the sleeves weren't too puffy plus it is very soft and not itchy at all. I also love the almost mock-neck. Very necessary for Winters in Michigan. 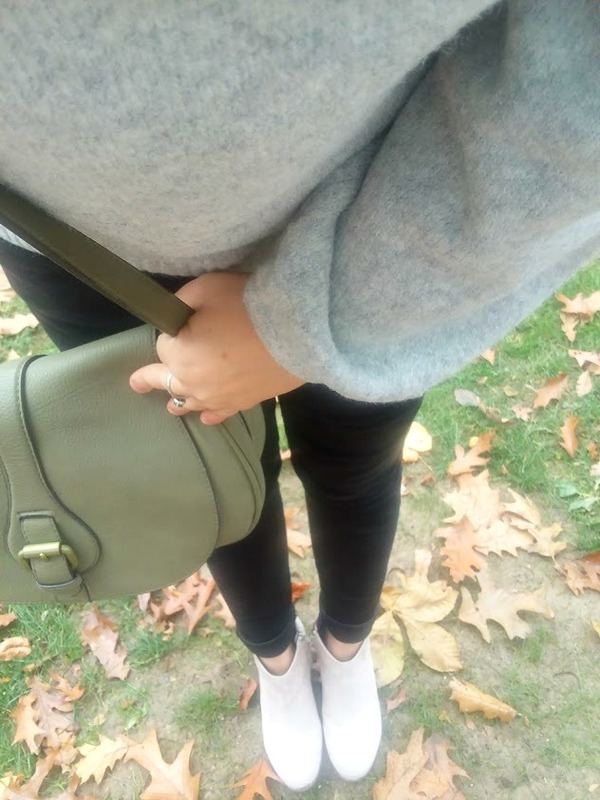 I decided to go for a Neutrals Monochromatic Look and since I am wearing this for Thanksgiving, I had to choose the most comfy pair of denim. I purchased these Wit+Wisdom Absolution Jeans from Nordstrom last year and they are the best 42 bucks I have ever spent. Since I have worn them at least 30 times the cost-per-wear is less than $1.50 now. I love the built-in (from within) wide elastic band. I am wearing size 27 but I have lost weight since then. Wish I had the 26 but even a 25 would fit I think since they are very stretchy and very comfy. These days for the best fit, I should belt them. Anyhow... completing my very comfy turkey day outfit I have on Neutral Faux Suede Booties by Old Navy. The stacked heels make them a little dressy. I am carrying my Target Muted Olive Crossbody Saddle Bag and the Corduroy Leopard Newsboy Cap I thrifted at a local thrift store. 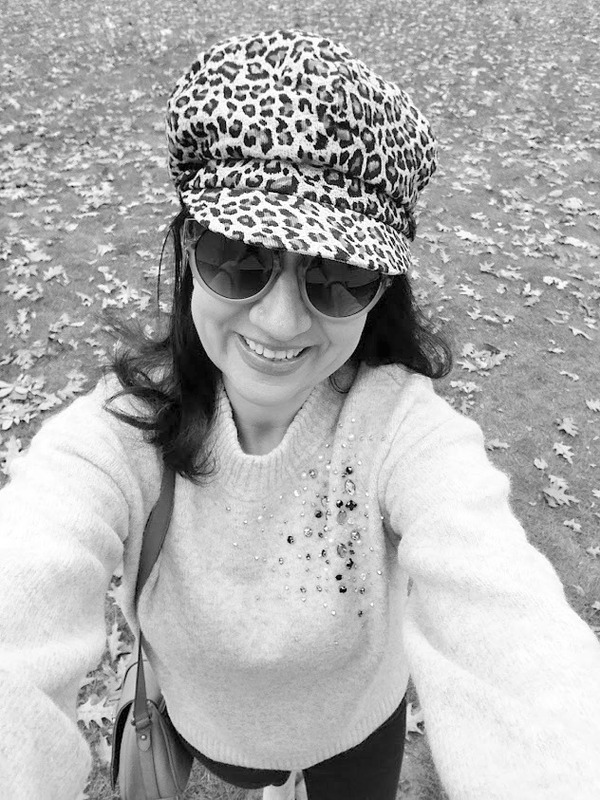 I am pretty sure the leopard hat is what you noticed the most. It is THE statement piece! The outfit above is what I wore last year for Thanksgiving, a little dressier I would say, but still comfy! 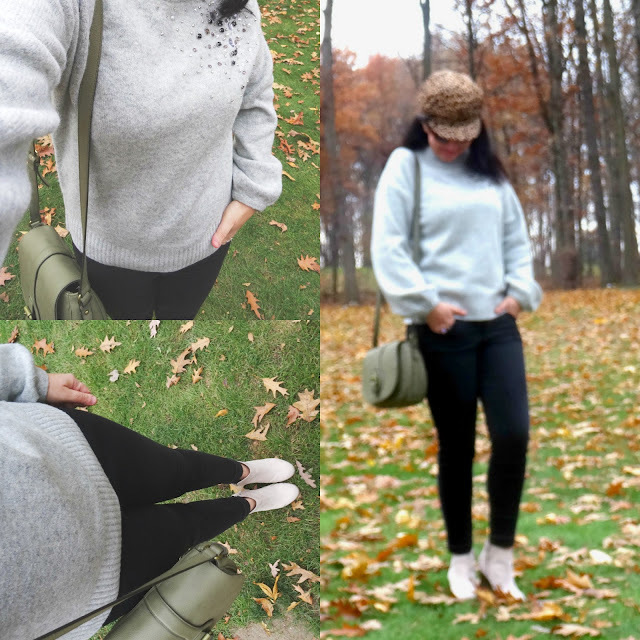 Fellow hat and boots lover SHELBEE from Shelbee on the Edge shared a similar look which is very put-together and very comfortable too. I am actually co-hosting her weekly Tuesdays Linkup with her today, also. You can find the linkup on the very bottom of this post. I adore Shelbee's style and I have 'defined' her as "the queen of layering" though just like me she doesn't like definitions when it comes to style. 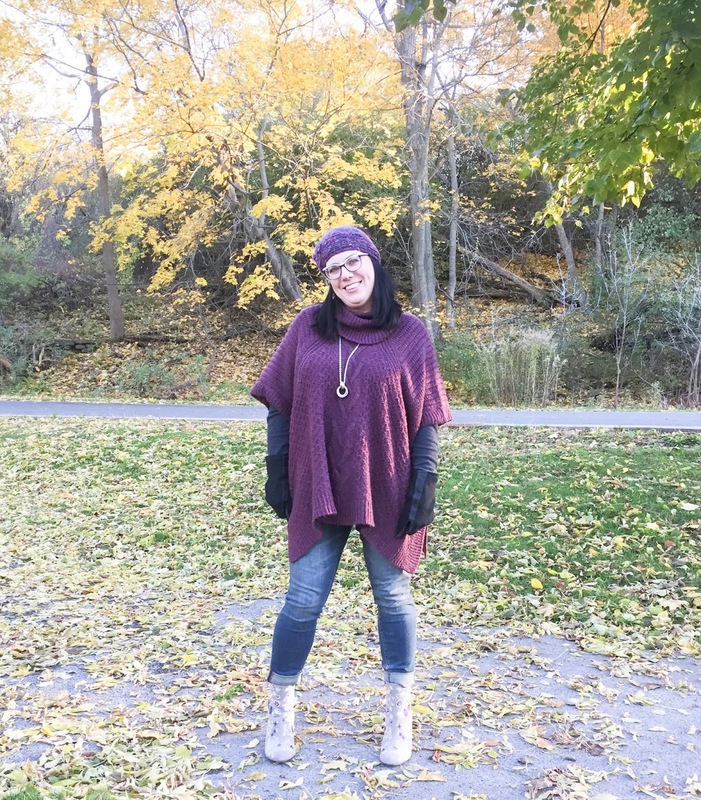 Besides the fact that Shelbee shares many different and stylish outfits on her blog, she is an incredible writer - just amazing - and a great woman all around! Lucky to know her pretty well and call her my friend. I have done so many collaborations with Shelbee and there are a lot more coming! Thank you to all the dozen beauties who collaborated with me today and thank you all for reading. Now join Shelbee's Linkup below and join us all next Tuesday because we will be sharing what we plan on wearing for Black Friday.